Your students will love making “Reindeer Food” and “Reindeer Sandwiches” to celebrate this Christmas season! Great for teaching measuring skills and following directions. 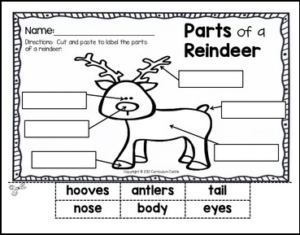 We also included a “Parts of a Reindeer” cut & paste labeling activity for your kiddos. Hope they enjoy this Holiday tradition!